For all that I report on them, I've actually only pledged for four total crowdfunding campaigns. One of them was for the original Dreadball game. What can I say? I was drawn in to the theme (having been a hockey goalie for quite some time) and liked the look of the minis. Though, I have to admit, after a couple plays, I realized it wasn't entirely for me (not that it was a bad game, but not every gamer is going to like every game). Well, that might be changing as Mantic has announced a new edition of the game will be coming out. So, what can we expect from this new version? Well, there's going to be more streamlined rules. 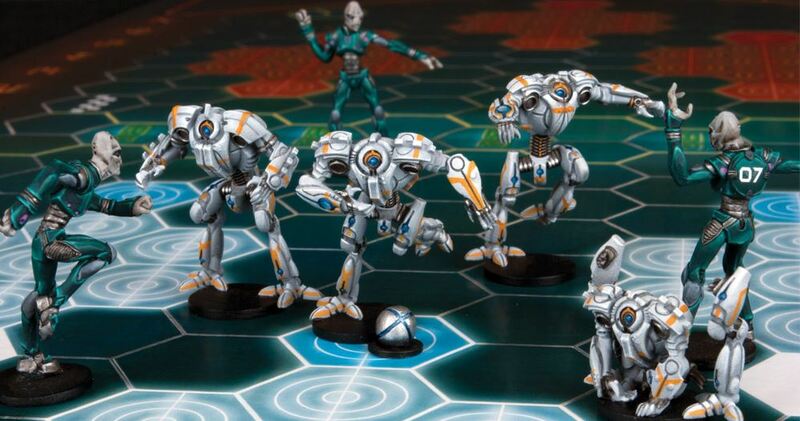 There's 6 seasons worth of Dreadball out now, and trying to keep it all straight and collected is difficult. The new book will bring all those together. There's also a new League System. It's entirely new, starting over from scratch. Mantic's also being sure to listen to us, the players, and updating things like Jacks, Giants, and MVP players to be more central to the game. Also, all of the teams are getting a rebalancing to make sure that the figures you bring to the table have just as much a chance as your opponent's. Like Kings of War, there will be a mini-Kickstarter campaign to usher in the launch of this new edition.